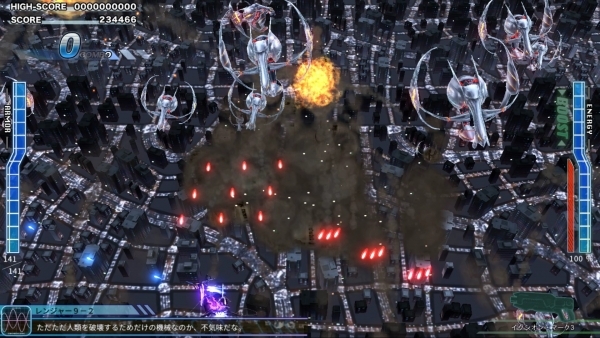 Become a Wing Diver in the fall-due shoot 'em up. 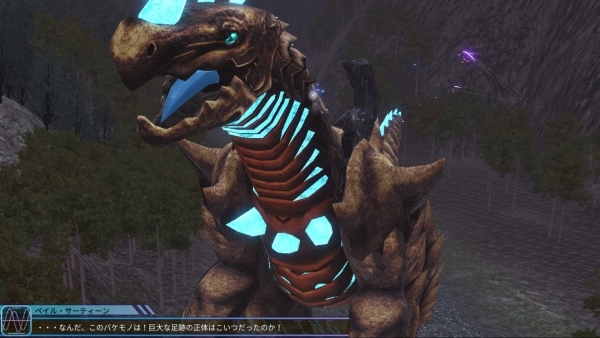 D3 Publisher has released first information and screenshots of Earth Defense Force 4.1: Wing Diver The Shooter, its recently announced shoot ’em up spin-off of Earth Defense Force 4.1. 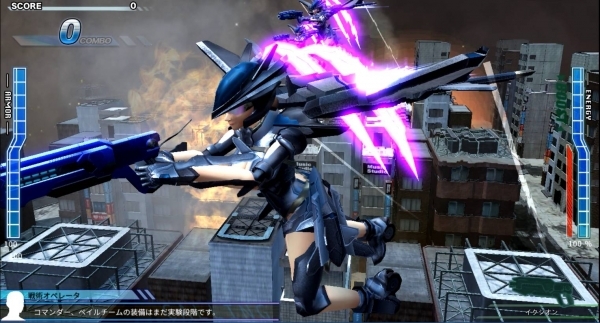 It stars the “Pale Team,” which has appeared as a non-playable elite unit made up of the popular “Wing Diver” class, and depicts another story and battle in the world of Earth Defense Force 4.1. 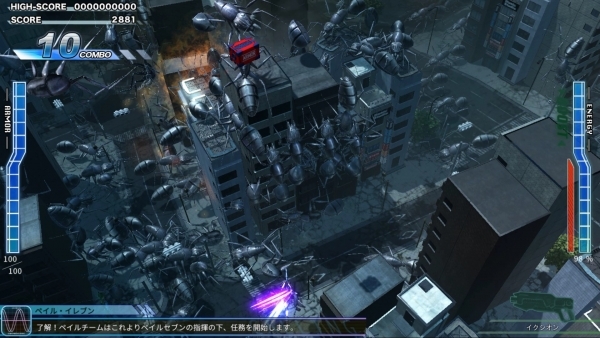 This is Earth Defense Force 4.1: Wing Diver The Shooter. Several months have passed since the re-invasion of the extraterrestrials known as “Ravagers.” The Earth Defense Force has developed a new model flight unit to be used by Wing Divers. Compared to previous flight units, this one was developed with the theme of continuous flight and is a ground-breaking development in that it enables emergency charges without falling to the ground. One day, while testing by some members of the Pale Team was entering its final stages, an incident occurred. 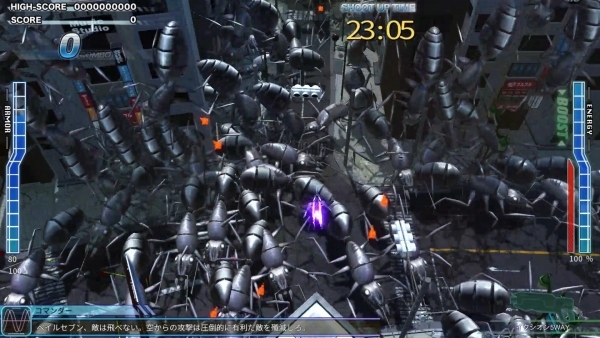 On that day, the Earth Defense Force in the vicinity of the incident prepared to carry out the operation of shooting down the enemy mothership, and most of the troops assembled in the area where the operation was to be executed. 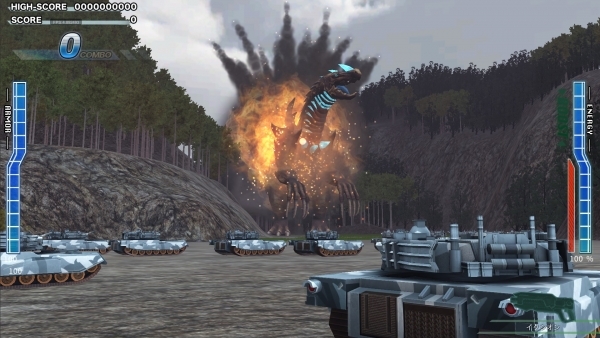 But a battalion of giant creatures suddenly emerged to counter the military operation. 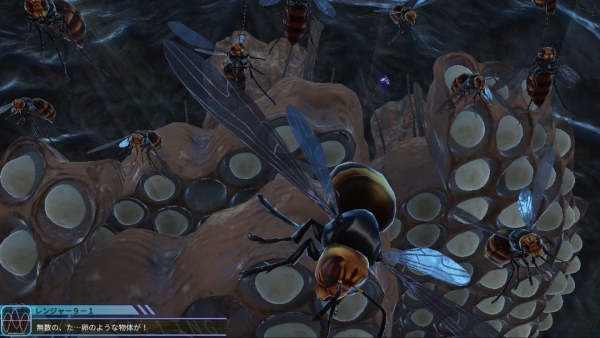 The Earth Defense Force decided to put all of its remaining strength into intercepting of the enemy. 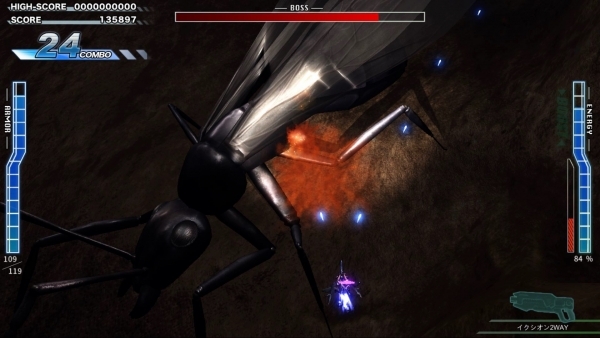 The player can equip two types of weapons. Each mission has various situations, and how you fight and which weapons are effective weapons will change for each mission. 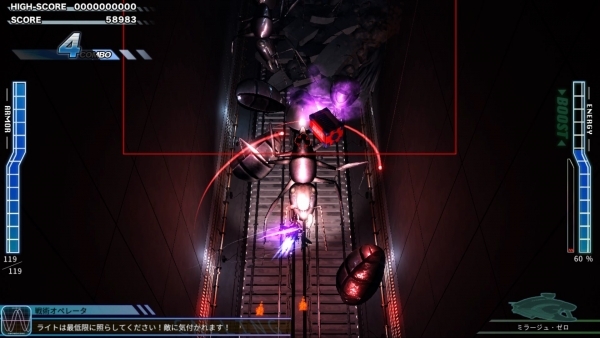 There are over 60 types of weapons in the game, including the familiar “Ixion,” “Rapier,” “Mirage,” “Thunder Sniper,” “LAZR,” and “Plasma Launcher” from Earth Defense Force 4.1. The weapons that the Wing Divers use in the original story are available, as well as new weapons that support the new model flight unit. Combine various weapons to create a fighting style all your own. 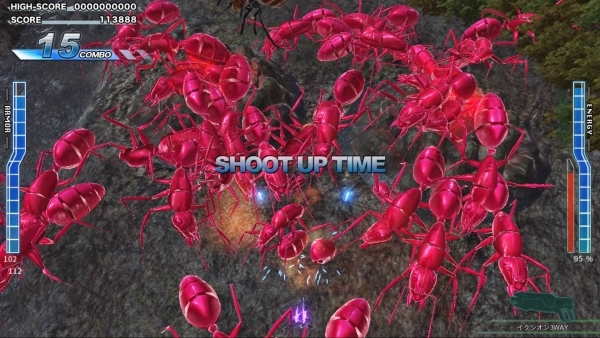 Enemies from Earth Defense Force 4.1 will appear, but with new attacks suited to vertical shoot ’em ups. 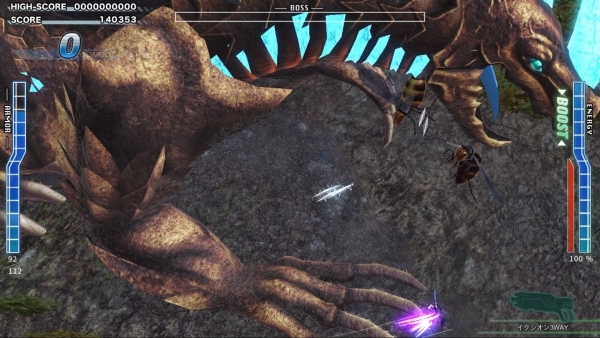 Giant boss-class enemies will also appear. 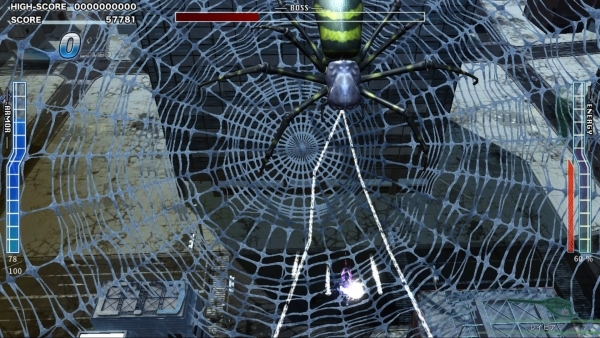 These are super-huge enemies that cover the screen and unleash powerful attacks. Can you get past their variegated attack patterns? 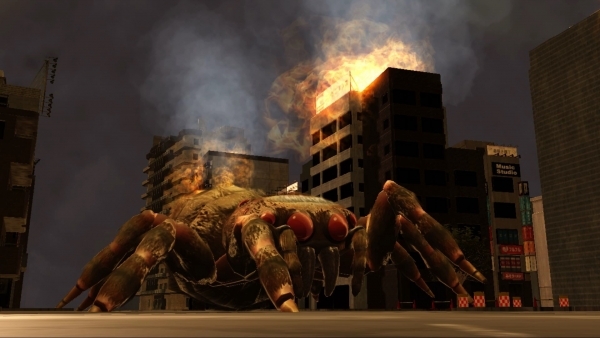 During missions, other members of the Earth Defense Force, including the Rangers, Strategy Operators, and Tactical Commanders from Earth Defense Force 4.1, will communicate with you through fully-voiced dialogue. You’ll be able to see Ranger fighting on the ground and civilians attempting to escape. As a member of the Pale Team, cooperate with your fellow group members and implement a speedy strategy. If the vertical-scroll stops in the middle of a mission, “Shoot Up Time” will begin. 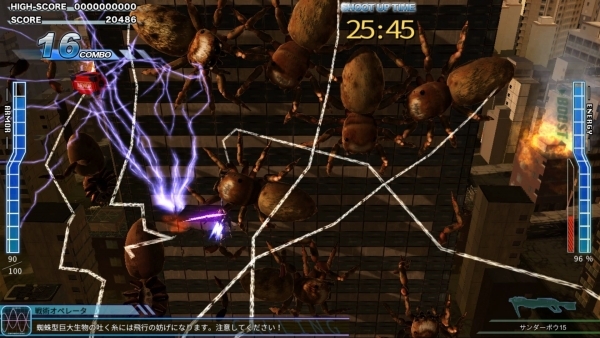 Shoot Up Time sees an overwhelming amount of enemies fill up the screen, forcing players to attack them without a second thought as they continue to appear. Defeating enemies in succession will get you a “Combo” that further boosts your score. Collect over 60 types of weapons. Leaderboard support. Aim for the top score. Change your character’s color variations. 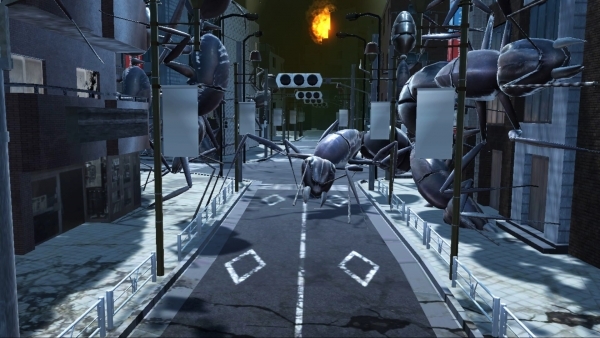 Earth Defense Force 4.1: Wing Diver The Shooter will launch for PlayStation 4 via the PlayStation Store this fall in Japan for 2,980 yen.